Cosmosis Festival is an all-day three stage festival held at Manchester's Antwerp Mansion, a ramshackle building just off the Curry Mile, and titled as an Alternative Festival of Psychedelic Music And Arts. An impressive line-up of bands, both local and from afar, enticed us down and this is our tale of the day. There's an inauspicious start to the day when on the bus down to Rusholme, we see a tweet putting back doors an hour. We finally get in at 2, but it's an hour before we get a band on due to continued issues setting up. With so many bands playing and the venue not really conducive to the two-stage set up and the amount of gear, it's a miracle we get anything at all. First up are London's Moon who open proceedings downstairs in the main room. True to the psychedelic vibe of the festival, they trade in loud guitars but underneath them they've got some great tunes whether it be in the instrumental track they play early in their set or the brooding track that follows it, the stunning Nighthunters which closes their debut EP. Interchanging vocalists throughout their set allows them to mix things up as well. We look forward to them coming back to Manchester. We make our way upstairs where Desert Mountain Tribe have already started their set to a packed Observatory. We don't catch their whole set, but what we get is dark, fierce instrumentals, a band that feel like they're making a point. Front man Jonty looks like a man possessed. We're sad to leave before they're done because we want to catch Enemies Eyes. Later, we're told we missed the start of the set when the microphone failed and the end when it was repaired and that they're not an instrumental band. We were impressed in any case. Enemies Eyes were on our list of must-see bands after impressing us in December at Soup Kitchen. Their new line-up haven't played many gigs together, but the addition of Aisling on co-vocals with founder member Matthew has turned them into a formidable live band already. 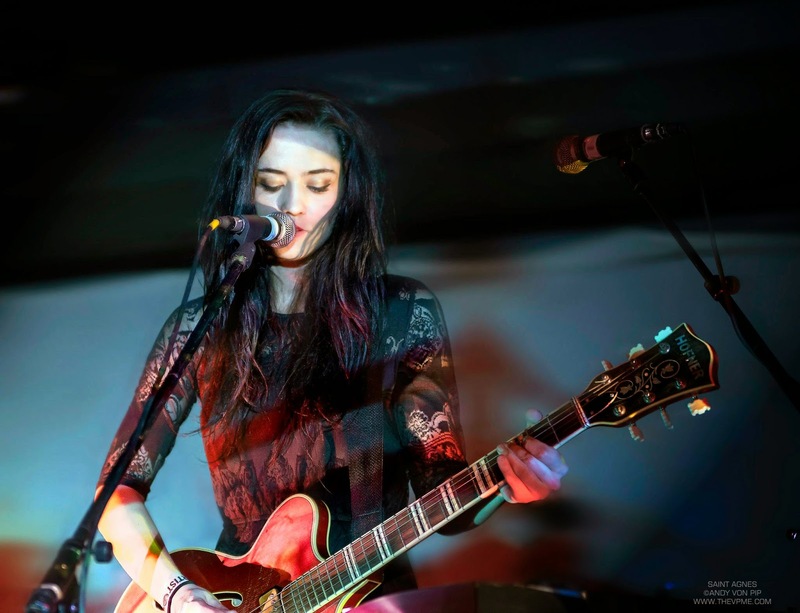 Almost from nowhere, her haunting voice rises through the wall of noise of the first track being created by the band and floats heavenly across it before she lets rip at the start of the second track. The interchange between the two vocalists forms a great part of their appeal as it gives them great contrast in their set, full of dark and light. It'll be intriguing to hear what they sound like once we hear some studio recordings. Next up are local heroes Purple Heart Parade and they're going from strength to strength as they develop as a band. Tracks like Starfucker Blues and set-closer The Room deserve a much bigger audience, they're huge riff-laden songs that could fill big halls and they've got a set full of them today and a whole load more in reserve. Front man Pete has calmed down some of the excesses of his performance style that put us off at first without losing any of the energy and fire in his belly and he's the most animated in your face band leader we see today - you have to watch him as well as listen to him to get the full PHP effect. They manage to pull off the mean feat of sounding incredibly tight, but also loose and fluid at the same time with a groove to them that so many bands labelled psyche ignore, testament to the line-up they've now assembled that has gelled so well so quickly. We had hoped to catch Saint Agnes but the delays mean we only catch their last two songs, more than enough to convince us of the alternative star quality of Kitty and her band. Feisty, direct with songs full of thrilling riffs and twists and turns, they're a band we're going to hear a lot more of. We also catch the end of The Altered Hours upstairs as we wait for The Watchmakers, enough for us to note them down for further investigation. We then have to face the stairs of death and its never ending toilet queue to get back down to the main room for The Watchmakers who've been moved because of the on-going technical issues with microphones upstairs. Their forty-five minute set is the longest we witness all day, but it's the first time we've seen them for a couple of years and we're impressed at how far they've developed in that time. To Be Part Of You and Illumination as well as opener and forthcoming single Kiss The Sun are a sign that they're a band ready to make a crossover breakthrough and whilst they have a distinctive accessible sound of their own that mixes the psychedelic ethos of the festival with the heavier side of Oasis's best early work, there's enough variety in there to keep the packed out audience enthralled. The next band we watch are Southampton's Dead Rabbits, moved upstairs because of the rescheduling. Their take on psychedelia is a darker full-on guitar onslaught and on opener It's All In Her Head, front man Thomas half sings, half screams and the approach works brilliantly on it. Across the set, they also demonstrate a great ear for rhythm as well, creating a whirlpool of sounds held together by Suzanne on drums and accentuated by Paul on keyboards. Six minute songs don't feel that long despite taking the listener on a journey. We'll be investigating more as we'd not had them on our schedule for the day. Vermont duo The Vacant Lots are no strangers to the UK. This is their third British and European tour in the last 12 months. Surprisingly though this is their first visit to Manchester. Opening with Never Satisfied from debut album Departure, Jared Artaud is first on vocal duties as the pulsating beats generated by Brian MacFadyen reverberate around the room. The Vacant Lots brand of psychedelia is that favoured by their hero and collaborator Sonic Boom. There is a simple, effective repetitiveness to Never Satisfied. Mad Mary Jones follows after a short delay as there seem to be some sound problems with the monitors and the PA.
Mad Mary Jones has a frantic Farfisa style refrain and sees Brian multitasking to great effect. It's a classic garage pop single, delivered in just three minutes before another break ensues. Early single Cadillac is driven along with Jared's simple two chord guitar part. Departure sounds like The Velvet Underground at their best and was far too good to be a B-side. 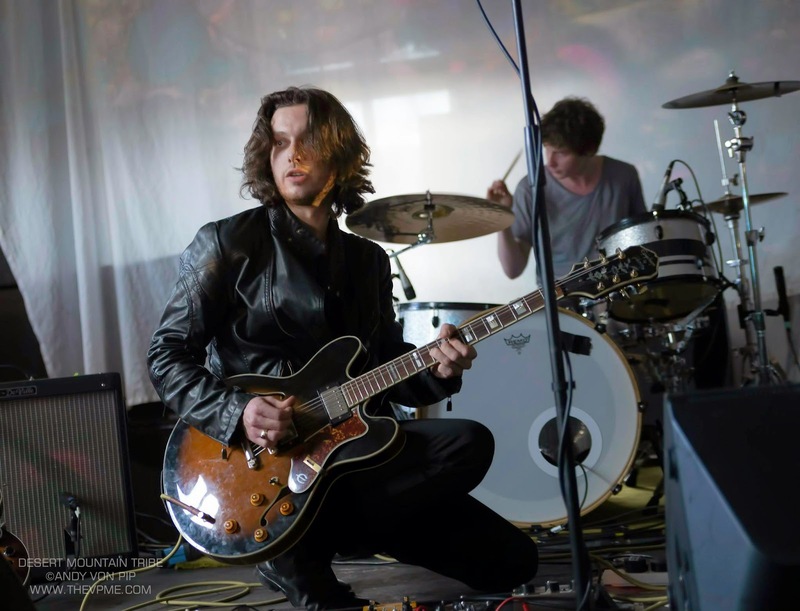 6AM brings the set to a close in great style and sees The Vacant Lots at their most explosive with Brian delivering a menacing vocal. The Black Ryder take forever to set up. And we mean forever. The nature of the festival does mean that bands have to take account of their crowd and they don't, insistent, and from an artistic perspective they're right, on getting their on-stage sound exactly right. It doesn't endear them to the crowd though, those who are still in control of their faculties. When they start, they've lost quite a bit of goodwill but as they run through tracks from their wonderful The Door Behind The Door album, they win people back through the sheer weight of their show. The interplay between Aimee and Scott is the centrepoint of their stage presence and they're all dark grooves, rumbling guitars and simmering tension. They are a band to see on their terms though rather than after midnight ten hours into a festival and hopefully they'll come back to the UK soon. The organisers of Cosmosis deserve immense credit for bringing such a stellar line-up of talent from Manchester and further away together on one bill. It's only the second year this has been held and whilst the live rooms are excellent, the rest of the venue and facilities did leave a lot to be desired, particularly the toilet arrangements which left people queuing on the stairs that were the only access between the two stages. The breakdown of equipment upstairs was unfortunate and hopefully lessons will be learned from that in terms of having back-up and better communication to the paying customers of what was going on. 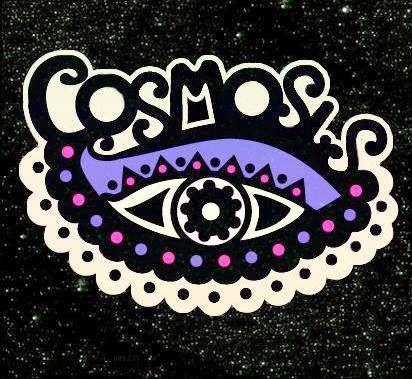 That said, Cosmosis was, despite those issues, a celebration of music where people were into the bands and not the "look at me, I'm at a festival" culture that's sadly prevalent these days and paid them the respect they deserved, there was no filler on the line-up and there was a lot of love in the room and on the stages. Mission accomplished. Moon are on Facebook and Twitter and their debut EP is available as a free download on their Bandcamp page. Dead Rabbits are on Facebook and Twitter.